In the sun, that is. 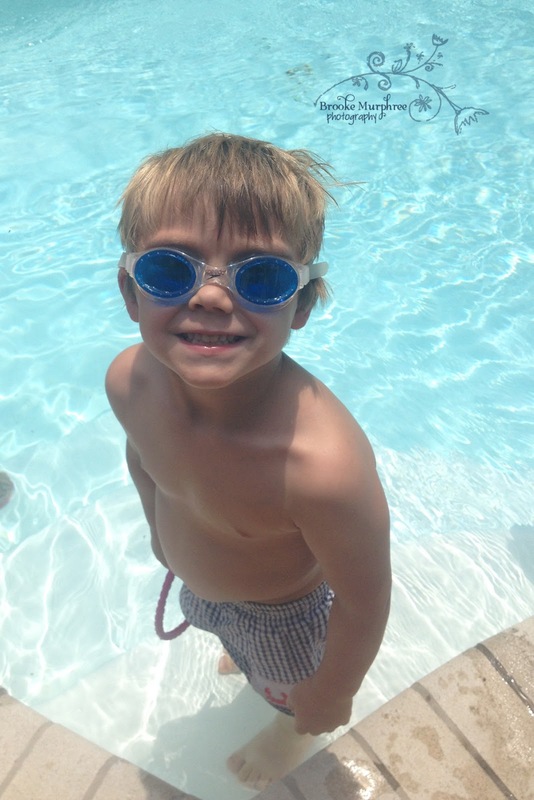 We have been at the pool several times each week and Perry is just turning into a little fish. He finally decided he likes swimming under the water, sliding, and jumping off the diving board. I definitely have a little water baby on my hands! 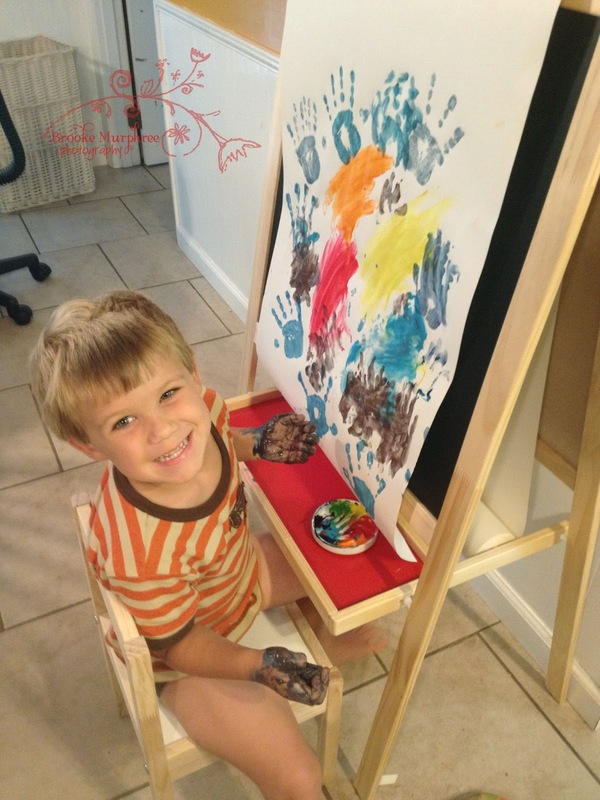 Many mornings as I'm fixing breakfast or doing a few tasks around the house, P will ask to paint. It's funny how I want to keep every single one of his masterpieces. We tend to do messy. 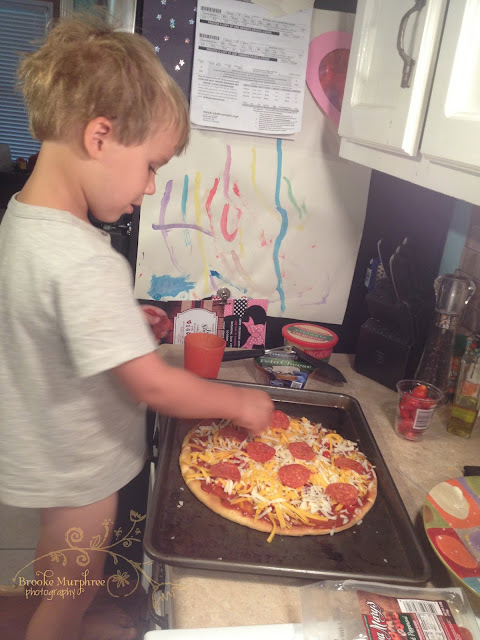 We also tend to do messy sans pants on. We also tend to do pizza with messy bed-head. For breakfast. What an absolute blessing to be this little guy's Mommy and to get to spend my days with him. 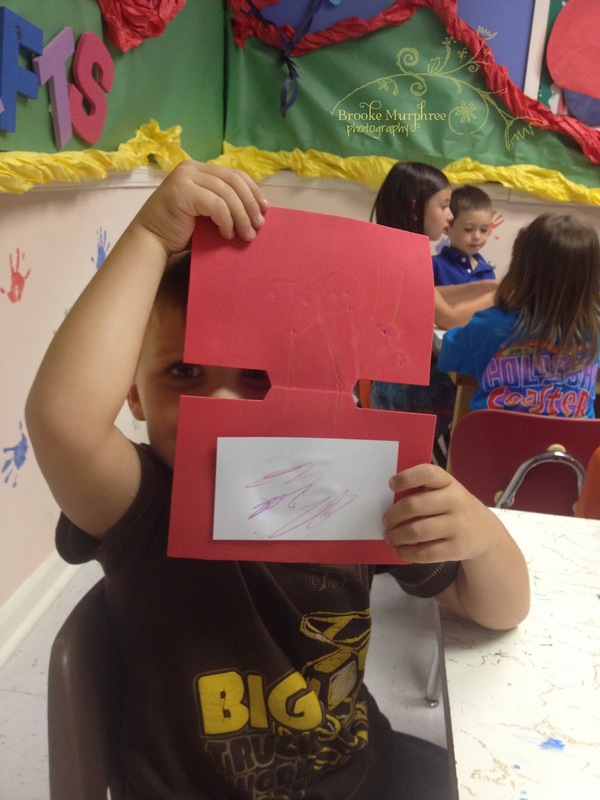 P applied lots of effort to his crafts during Vacation Bible School this week. This task in particular was to draw a picture of your family. P unconventionally drew his photo on the foam part where it was a wee bit difficult to see. However, he was very proud to show everyone his family: Himself, Mommy, Daddy, and his baby brudder Jack, who lives in 'Kre-uh.' Melt. My. Heart. 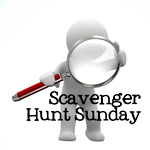 To see other Sunday Scavenger Hunts, hop on over to Ashley's blog. I was a fish when I was little and my blessing is following in my footsteps! We have had pizza leftovers many times for breakfast. Nothing wrong with that! He is so adorable!! 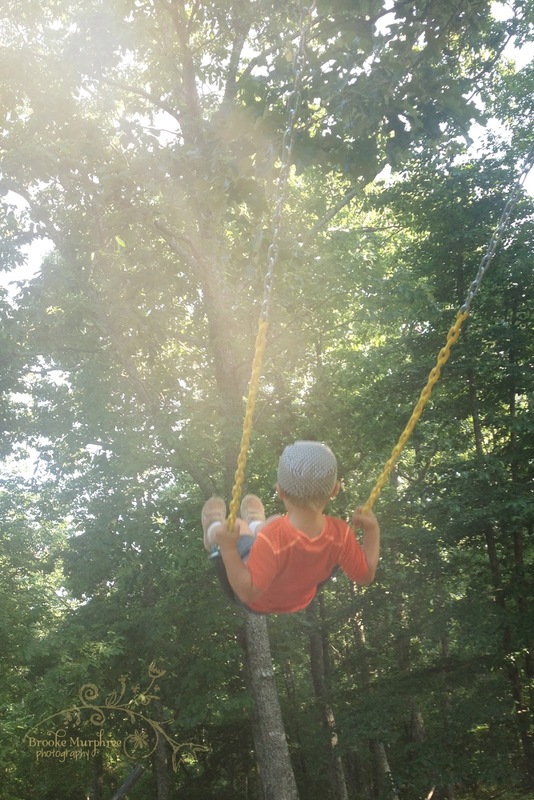 Love that swinging picture! What a sweet little boy you have. He has a charming smile. Loved his Arts & Crafts. Pizza for breakfast made me smile.